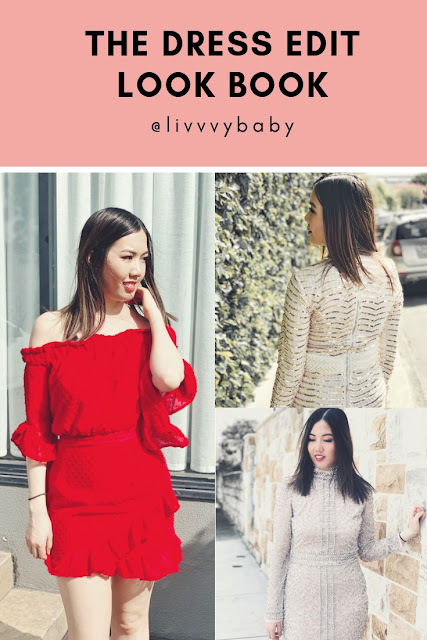 L I V I A: [MY TOP SKINCARE HACKS + ROUTINE WITH CLARISONIC] FEAT. 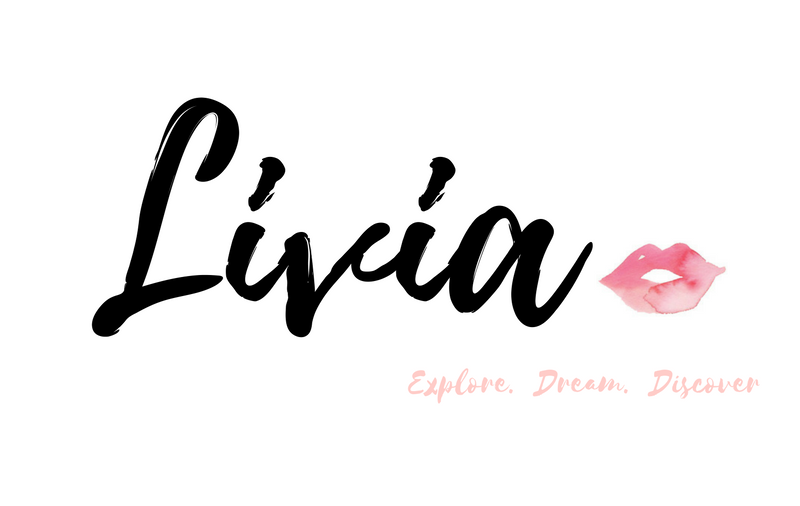 THE NEW 'MIA FIT' THAT FITS RIGHT INTO YOUR PALMS + MY FIRST IMPRESSIONS ! [MY TOP SKINCARE HACKS + ROUTINE WITH CLARISONIC] FEAT. THE NEW 'MIA FIT' THAT FITS RIGHT INTO YOUR PALMS + MY FIRST IMPRESSIONS ! I was lucky to be gifted the Clarisonic Mia Fit at an exclusive event. To know that I was one of the lucky Australians who owned a Mia Fit by Clarisonic was truly an exhilarating feeling because now I can look forward to healthier looking skin on the go. So what exactly was going through my mind? I was thinking about the differences between the Mia 2 and the Mia Fit. Plus, I was curious to see how it would change my skincare routine. But first, let's get right into what the Mia Fit is all about for all of your skincare solutions. Firstly, it's a facial cleansing device that fits right into the palm of your hands. It's compact, lightweight and ideally your best travelling facial brush to take with you on the go. 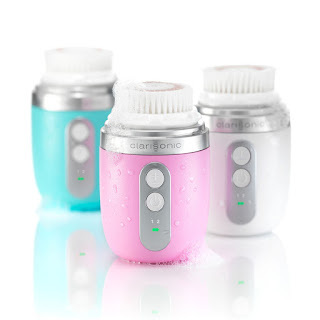 So Clarisonic Australia have recently launched the Mia Fit over their official website here just this week and retails for only $315. 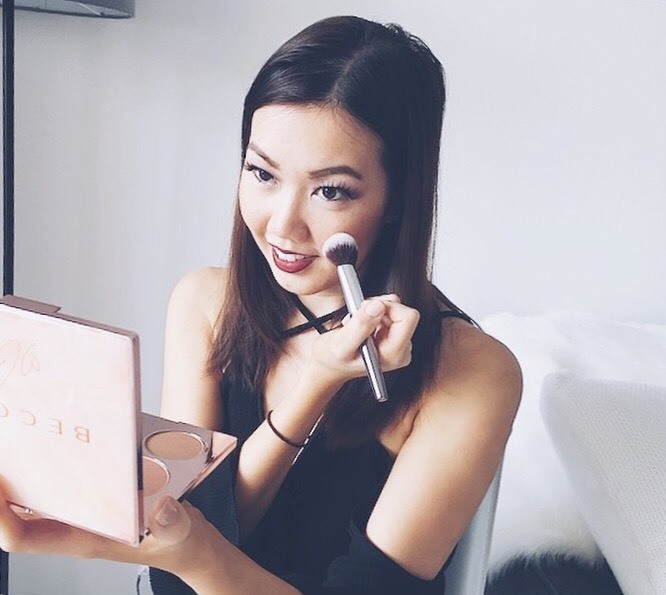 It's always worthwhile to know that it's sort of like a beauty investment. If you're aiming for beautiful and healthy looking skin, then you really need the best tools that can help you to achieve a glowing complexion. The Mia Fit now features a Gentle Radiance brush head for all skin types which is perfect because now everyone can look to start using the Mia Fit, without worrying about which brush head to opt for. There are also two speed settings which both help to cleanse your skin from any impurities and makeup trapped in your pores for healthier looking skin. Speed Setting #1 - Delicate Cleanse - 60 seconds - perfect for an everyday cleanse. Speed Setting #2 - Power Cleanse - 80 seconds - ideal for a post-work out or long-wear make-up removal. And as Clarisonic states about the Mia Fit, is that you really get a gentle cleanse that is 6 times BETTER than using your hands alone. (I really can't imagine cleansing my skin by just using my hands again - knowing that there's a product out there that can look to cleanse EVEN better). So...apart from introducing you all to the Mia Fit cleansing brush, I'd love to guide you all with my current skincare routine and tips of using the Mia Fit by Clarisonic. Some of you may be following a skincare routine, and some maybe not? For those who are not - it's never too late to develop a skincare plan of how to go about with cleansing your skin daily, weekly and monthly. A tip to always remember is to keep your skincare routine consistent. Consistency is the key to ensuring that you get better and effective results for your skin in the long term. You don't have to copy entirely a routine that's recommended to you. Find the products and tools that will work for your skin and keep it simple. Also, find time in your schedule to slot the skincare routine in. Whether it is 5 or 10 minutes - be sure to always allow some time at night to cleanse your skin well. There are days where we may feel demotivated but don't let that stop you from sticking to a scheduled routine. Just make sure that whichever skincare routine that you decide to go with, ensure that your products are user-friendly. (That way you don't get issues along the way). Next, select products that are within your budget because it can get costly if you fancy luxury skincare products. There are some gentle cleanser out there that are affordable and easily found at your local pharmacies and supermarkets. Lastly, when it comes to setting expectations of skin results - I always plan for about 4 weeks. After 4 weeks, you can look to measure the difference of how your skin feels and whether it looks healthier as compared to day 1. Essentially, when it comes to my daily skincare routine, I make sure that I follow a quick and easy routine that fits my schedule. STEP 4: Wet the Mia Fit with warm water and squeeze on a gentle cleanser (I am currently using Clarisonic's Sonic Radiance, Skin Illuminating cleanser and also Kiehl's Blue Herbal gel cleanser) - you can choose to use any gel-based cleanser. (Tip: Avoid exfoliation cleansers or oil-based cleansers). STEP 5: The brush head looks to "oscillate" so there's no need to put pressure on the Mia Fit, simply hold and glide against your skin. STEP 6: 20 seconds on the forehead, 20 seconds on nose and chin, 10 seconds on both sides of the cheeks and 20 seconds on your decolletage. STEP 7: Rinse face and neck and pat dry with a towel. Also make sure that you rinse the Mia Fit with warm soapy water. STEP 8: Tone the face with a toner. STEP 9: Apply a serum onto your face. STEP 10: Moisturise to seal in the moisture on your skin. STEP 11: Time to feel a difference to your skin! For the best results, ensure that you replace the brush head every 3 months. The Mia Fit is waterproof and can be used in the shower and even washed at the sink. If you're travelling light, best to take the Mia Fit with you in your beauty bag. It's lightweight, compact and comes with a Universal USB adaptor. I always look to tone my face after every cleansing session because it helps to moisturise and tighten my skin. Vitamin C skincare products such as Kiehl's Powerful Strength Line Reducing Concentrator is the best moisturiser I have tried to date - which helps to firm lines for the skin along with it having other amazing anti-ageing benefits. By using the Mia Fit on the decolletage for about 20 seconds, within time you'll start to notice firmer looking skin. 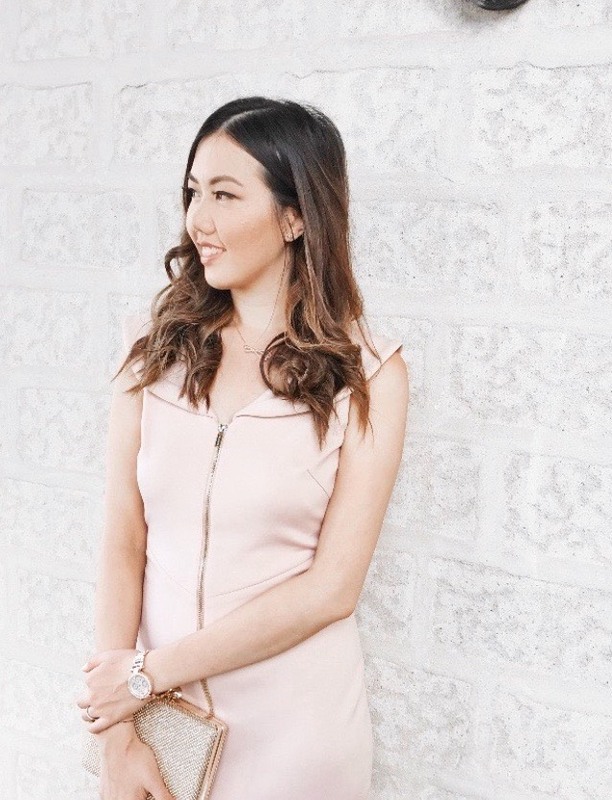 Having a skincare routine that's easy to follow and fits in your schedule is so ideal! 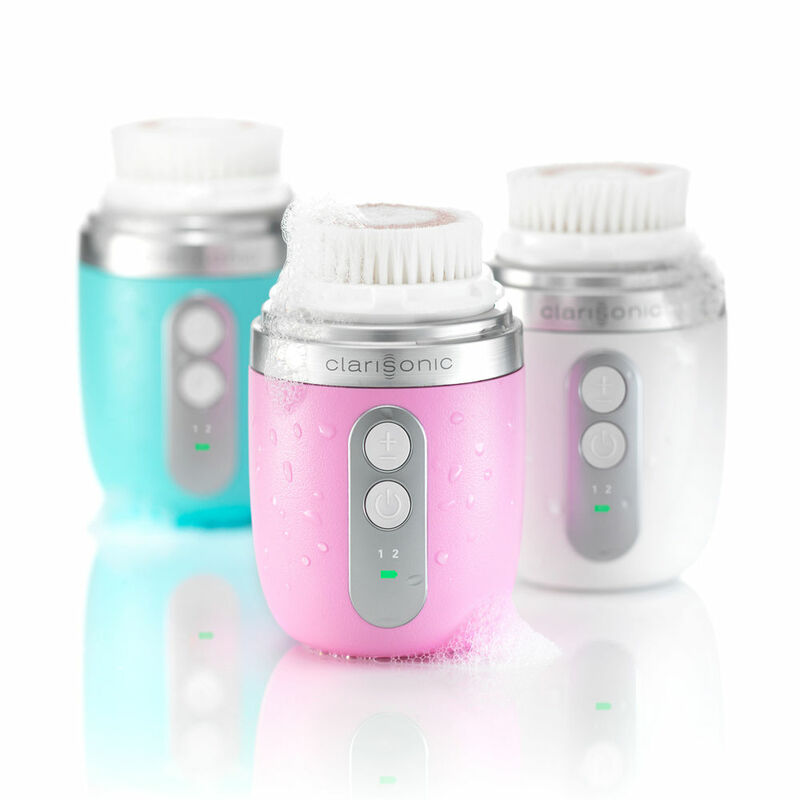 What are your thoughts on the NEW Mia Fit by Clarisonic? What did you think of my skincare routine?